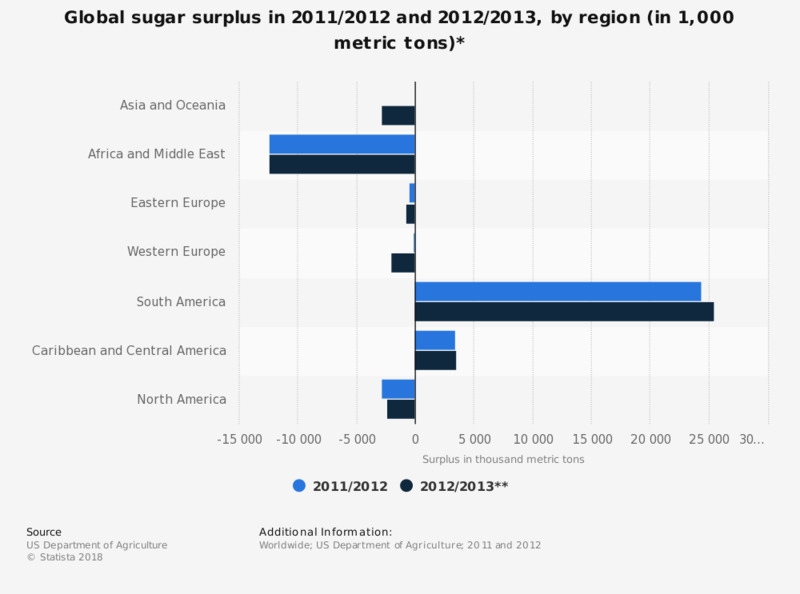 This statistic shows the global sugar surplus by region in 2011/2012, and provides a forecast for 2012/2013. In 2011/2012, the sugar surplus in South America amounted to about 24.4 million metric tons. ** Forecasted, as of November 2012.